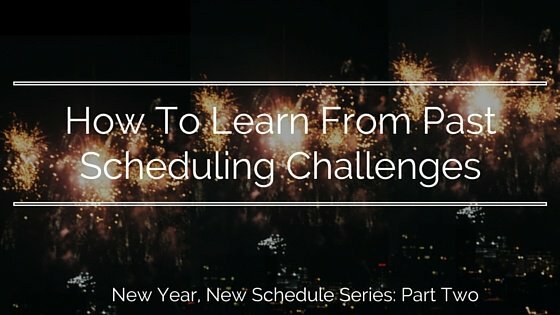 This post is Part Two of our New Year, New Schedule series. Catch up with Part One here. Many see the start of a new year as a chance to create New Year’s resolutions, aiming to rid themselves of a bad habit or develop good ones. 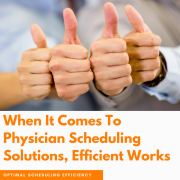 As a scheduler, it’s a fresh start for you and your providers, and you should be resolved to learm from the scheduling challenges you faced over the past year. Remember the conflicts you had–maybe because a provider was scheduled to work for three weekends in a row and missed his son’s soccer game, or another requested a two-week vacation when she didn’t have enough benefit time to cover it? You are only one person, and you certainly don’t have the ability to stay aware of every single provider’s life and work concerns. 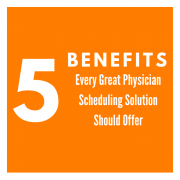 However, if a provider has a complex scheduling problem, sit down with them in person or on the phone and discuss it. 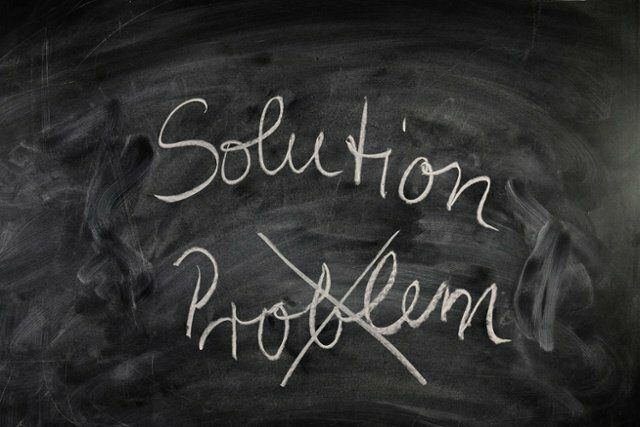 Write these problems down so you can address some long-term fixes later on. Make sure your providers feel as though their voices are being heard, even if you don’t have an immediate solution at hand. An end-of-the-year meeting to rehash some of these problems is a good idea, especially if some have come up more than once throughout the past few months. If you have any of those repeat occurrences in mind, bring them to the meeting and make them the focus. Ask the providers for their input–are there any solutions the group can agree to that will appease most or all parties? In this meeting, you should also address what can be improved overall when it comes to the schedule. Here, providers can bring up any grievances they’ve avoided mentioning so far, as well as any suggestions they may have for you. If possible, the topics and solutions covered in this meeting should be written down and emailed to everyone who attended. 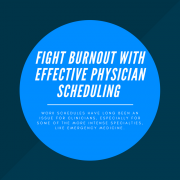 Providers may have a list of reasons why the current scheduling method is unfair, but you are the one who spends hours organizing and distributing each schedule. 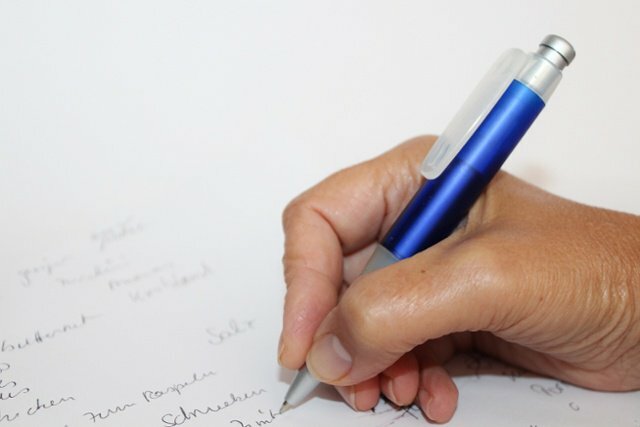 Your list is probably miles longer than theirs will ever be, so you should make note of them. What’s most time-consuming for me when it comes to building the schedule? Are there changes that I can make to simplify my task? Do I need a new scheduling method to increase efficiency? 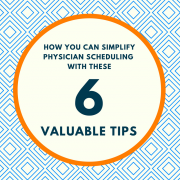 Creating a schedule that’s as fair as possible to your providers should be key; with that focus, you’ll probably avoid most of the problems they report having with the schedule in the first place. However, it isn’t easy to meet that goal, which is why answering the above questions is so important. Those answers will allow you to search for the solutions that can eliminate some or all of your scheduling hurdles. 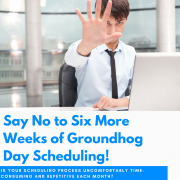 After noting your most time-consuming scheduling challenges, consider your options. Rethinking how your process is organized may be the best idea here. If you’re currently scheduling by hand or watching Excel spreadsheets slowly but surely overtake your computer, you may find that scheduling software can effectively minimize your challenges. More than likely, you aren’t well-versed in scheduling software and the advantages they can offer, but it’s worth spending some time on research. The search for a scheduling software can be daunting and, at times, confusing. Even if you’re already using software and would like to transition to one that better fits your needs, this challenge still applies. To start with, you should outline your goals and gather some information about your team’s dynamics. 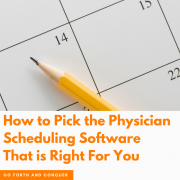 For more on how to pick the right physician scheduling software, read our guide here. 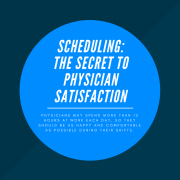 Although this process may take a significant amount of time for everyone (made even more difficult if you’re a scheduler who also has clinical duties to attend to), that time investment now may save you hours of stress in the coming months. In the end, the lengthy preparation may just be worth it, especially if you manage to identify ways to resolve one or all of the biggest problems you have. Considering making your New Year more productive with a scheduling solution? Find out what our free scheduler can do for you.